Education is one social cause I truly support. With recent increase in Rapes/Harassment/Eve-Teasing/Dowry in the city, it is very important that education of the society is treated as whole and not a girl child or male child. Cause of worry is the type 1 and equally type 2. Type 1 is the roots of the bigger problems like Population, Poverty, and Rapes etc. however Type 2 are more vulnerable to the overall society because they give rise Dowry, Society show business and harassment etc. And I can write more and more about these sensitive issues which we all are well aware. With the recent case of malfunctioning of a shelter home in Gurgaon, people have started to do charity at home. A deed of my close relative who has adopted 4 young girls and provided lifetime education is more worthy to me than signing a cheque of lac for a sanstha. If you can afford then do not look beyond your HOME – Give education to the children of your guard/driver/ office boy. They would always remember it for lifetime and you are contributing to a very large social cause which is affecting the Indian society. And above all ‘Educate your kids’ – Give them exposure and let them experience the Job or Business. Never ever restrict their education to a level that they may never be able to think beyond what you think. Saw this line on Twitter & thought this could be my next small blog – To get more followers on Twitter, start following relevant people. I do not completely agree with this statement. But since it came from well-known social media expert, I thought let me debate with my mind for some time. By following relevant people, I would just get to know the content they are talking about or topic of their blogs. It will not guarantee me a “follow back”. Follow-back will only happen if I produce a content which is actually relevant to them. It will also happen if I converse with them through my tweets. They may or may not follow me back, but their followers might just like my blog or tweets. Even your peers who understand your domain are your direct followers but only if they agree with your content. So engaging with relevant people is more important than just following them. Yes of-course, I would not suddenly expect celebs to converse with a person who just started but gradually it is your content, knowledge of the domain & your conviction not your age that matters. (By celebs I do not mean Bollywood but people who are pro in their work area and have high followers and decent readership on their blog). Lastly, a piece of advice: Tweet & Engage wisely not only for the heck of gaining followers but passion for what you know and what you want to reach out to people. Experienced both sides of the coin – Agency & Client, and therefore this blog is for all the Account Managers, Account Directors, Creative Team, Head of Agencies, Marketing Teams and last but not the least Chief Marketing Officer. 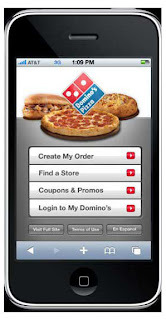 Some of the key findings are from Adtech 2013, New Delhi! Questions (Agency) – Why does the client always reject my idea? Why they never like our creative? Why do they prefer offline agency over digital agency? Why so many changes in the creative? Questions (Client) – Why don’t they understand? Why can’t they get a viral idea? Why they always bring ideas which are expensive? Why can’t they think 360 degrees? A small background dipstick to understand the agency – An agency hires an account executive or Manager who caters to an average of 3-4 clients. They work from 10 am to 7:30 pm at-least and sometimes on Saturdays. They do brainstorm but that is limited to that account and the brief received. Now let us understand the Brands – All the Marketing Heads are offline guys who very well execute ATL and BTL activities, they understand the potential of Digital and thus hire either a Digital Marketing Manager or a team for building Digital Strategies. But offline is priority to them. One thing and the most important thing which I believe the difference is, that the agency people are 24/7 engaged in doing routine tasks. The priority for Agency Head is BD (Business Development) and not learning & evolving the employees. There is no brainstorming and absolutely no reference to case studies of what is happening beyond the existing clients and outside India. They are extremely irritated of the daily routine & BD and therefore there is no freshness in ideas that they bring to the clients. One point which I would like to make to the agency people is “Invest in yourself”. One day in at-least two weeks you all should see the case studies and discuss within the team of what can be pitched to the client. Also, agency heads should take their employees for such seminars or bring new ideas to them so that the same ‘Tab’/ ‘Contest’ is not pitched to all the brands. On the other hand, even the brands are also at fault. If considered that the agency works only on the brief and does not give external references or broad ideas then it is the brand also to be blamed. How?? Let me explain – I recently visited Ad-tech New Delhi 2013 where there was a wonderful session called “Marketing Master”. It was back to back case studies based on what they have done on Digital platform. 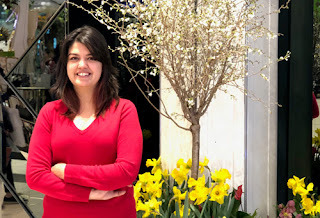 Learning was many but a point which has stayed in my mind was from Manisha Lath of Axis Bank. She said for the recent brief for Viral Videos of ProgressTogether.in, we called our creative and Digital teams together. This insisted that whatever idea that comes out is executable on both offline & online. It also meant that the entire brief was equally shared between the agencies and they together brainstormed over the idea. Most of the brands follow the other route – They brief the creative, they wait for the idea and after the idea is perceived, they call the digital guys and tell them the brief. There is no going back for the client even if it is not possible to execute it on Digital medium. And then who is blamed – Digital guy obviously! Marketing teams should also analyse that there is a huge potential in Digital Marketing. And fresh ideas gonna be expensive. 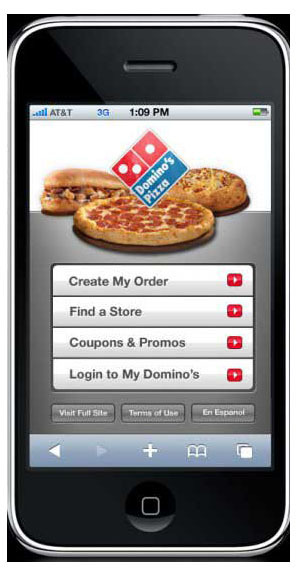 If Domino’s Pizza does 10% of delivery sales through mobile app(data from adtech presentation), then it was possible only because they acted timely on building the app and off-course the invested in the app. However, sometimes agency should also consider the budgets of the companies and accordingly mould the current ideas. Rather than scrapping the idea which client cannot afford, present with a twist which he can afford. 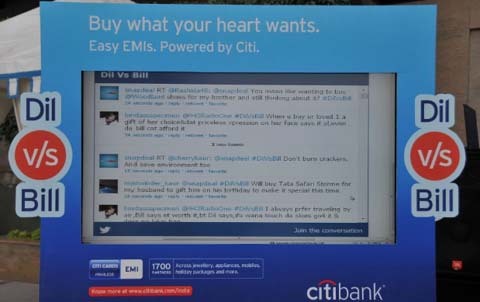 Again sharing an example from Adtech, Citi Bank did a campaign Dil V/s Bill. It was sky-vertising integrated with a Twitter Campaign. Check Google for details of the campaign but it was one the most thoughtful campaign for the TG. And unlike brands which prefer FB over Twitter, this was a different ball game all together. Ending it with a piece of advice – “Blaming each other will continue and will not benefit either. It is the time for co-creation of content. Integrated campaigns performs best only if all the agencies along with the Brand’s Marketing Team sit together, ideate, debate and conclude together”.